Dubai: There are not many South African rugby fans — or players — who will have fond memories of Japan, the hosts of next year’s World Cup. The Springboks, the 1995 and 2007 World champions, have had a tough time in the recent past, most famously at the 2015 World Cup, where they suffered a stunning loss to relative minnows Japan in the group stages, a result perceived to be the biggest upset in rugby union history. One man who will be glad South Africa have avoided being grouped with the hosts — as smaller nations rapidly improve in the game — in September and October next year is the all-time Springboks top try scorer Bryan Habana. Habana was in the team on the day of the shock loss to Japan, but also knows what it mans to lift the Webb Ellis trophy as he was part of the 2007 side. 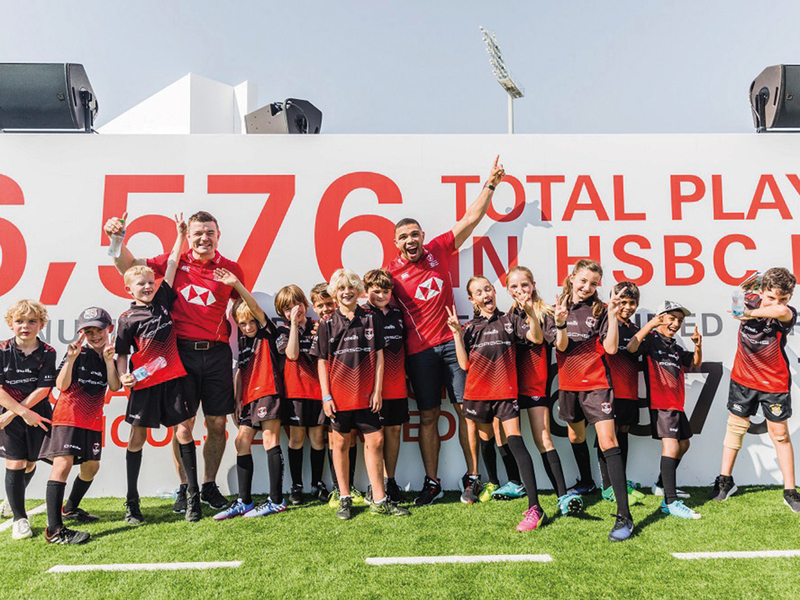 Speaking on the sidelines of the recently completed Dubai Sevens, where he was helping out with Irish great Brian O’Driscoll at the HSBC Coaching Clinics, Habana expressed his honour at representing his country at the sport’s flagship event, win or lose. “You aim and strive to play at the world’s biggest tournaments,” he said. “I was lucky to be playing with a great bunch of guys in the South Africa squad in 2007. You always strive to win but just getting into the squad, and then going on to win it was pretty cool. Clearly the 2015 loss still hurts, but Habana is always keen to stay positive. Once regarded as one of the best rugby teams in the world, South Africa have struggled since 2015, having suffered a 57-0 dismantling against New Zealand in 2017, after Habana’s retirement. In the past year, they have lost to Wales, England, Argentina, New Zealand and Australia. Habana, however, still has fond memories of the famous win in the 1995 Wold Cup final over New Zealand on home soil in front of Nelson Mandela. As a youngster he was in the crowd to watch Joel Stransky’s famous extra time drop goal that secured a 15-12 victory after the end of apartheid in the country. Speaking on the big event in Japan next year, Habana sees it as about that unity he experienced as a kid and watching the game expand further around the globe. “I’m here now, and very fortunate to now be here and give advice for the next group of players — both at the Sevens and 15s and that’s one of the greatest privileges,” he said.